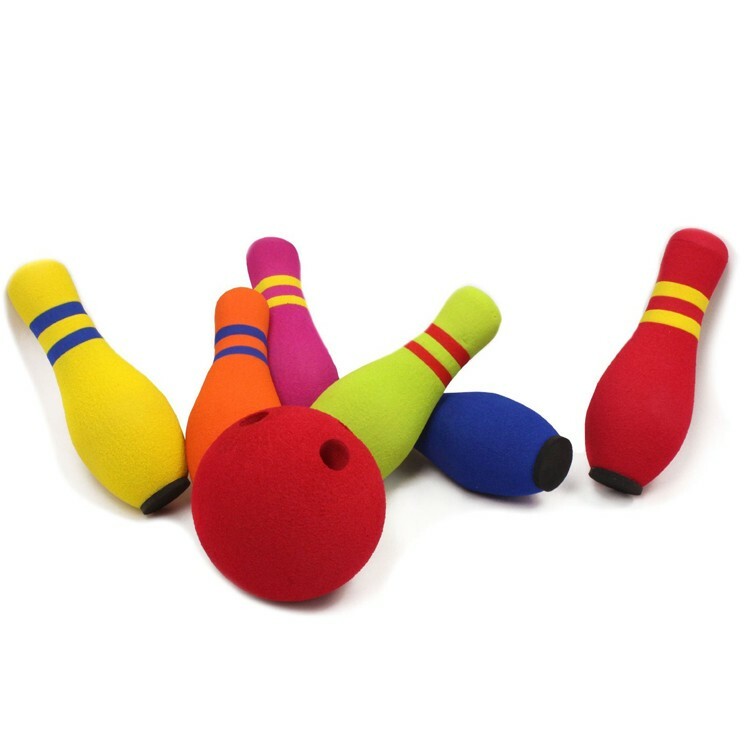 You can now enjoy bowling without leaving your house with this popular kids bowling set by Kidoozie! 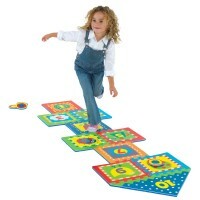 Award Winner: Oppenheim Toy Portfolio Platinum. 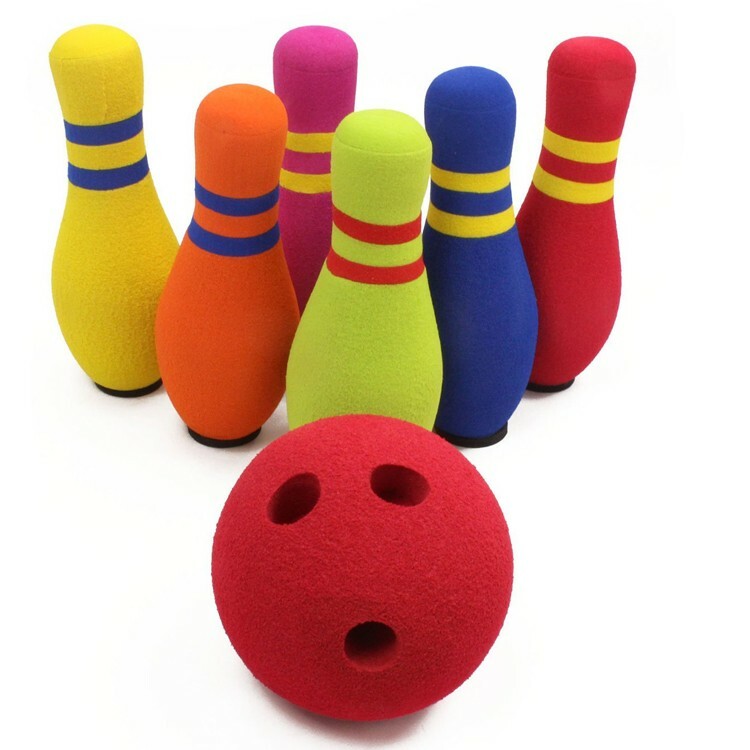 You can now enjoy bowling without leaving your house! 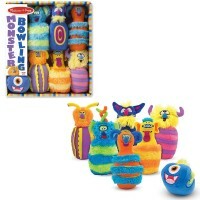 The new Kidoozie Six Pin Kids Bowling Set allows you to bowl alone or with company and can go with you wherever you go. 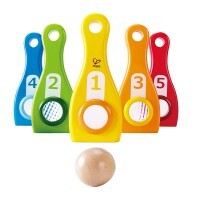 The six pins included in this children bowling set feature flat bottoms for more realistic bowling effect. 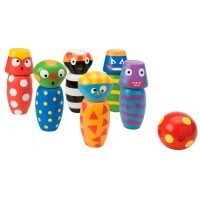 The bowling pins from the Six Pin Kids Bowling Set are colorful, durable, and covered by kids-friendly foam. 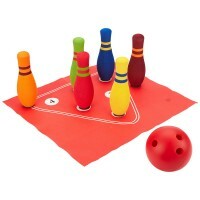 This Educational Toys Planet's kids bowling set comes with the bowling ball covered by the protective foam and is weighted down so you can get the same experience as if you were in a bowling alley. 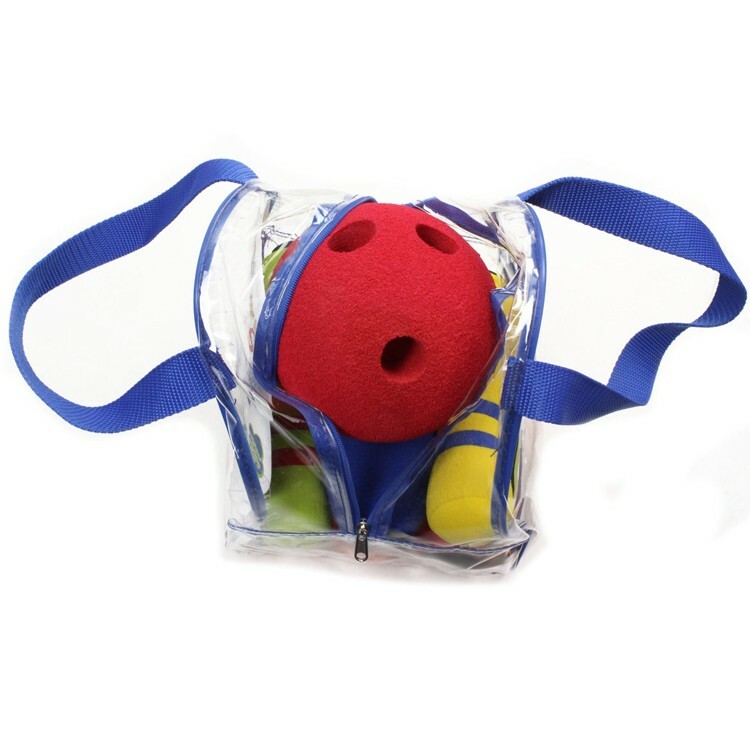 This outdoor and indoor sports activity set comes with a plastic zippered bag so you can get strikes and spares wherever you go. 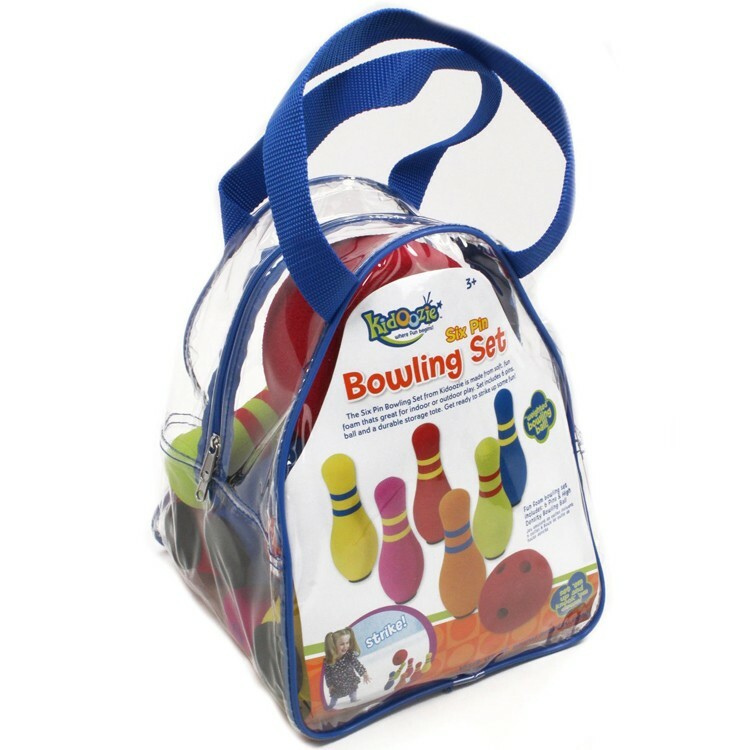 Dimensions of package 20.5" x 21.5" x 24.5"
Write your own review of Six Pin Kids Bowling Set. 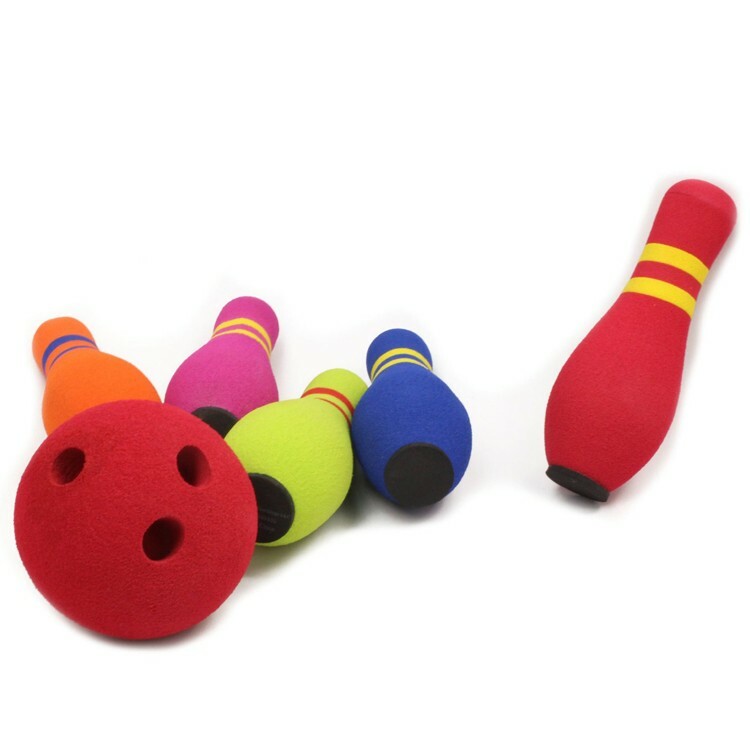 Rating: 5 by Elizabeth, UT The ball is heavy enough to knock down the pins and the pins stay standing because of their heavier bottom. 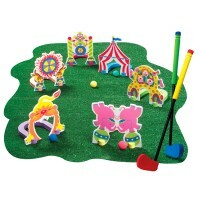 Love that each pin is a different color. 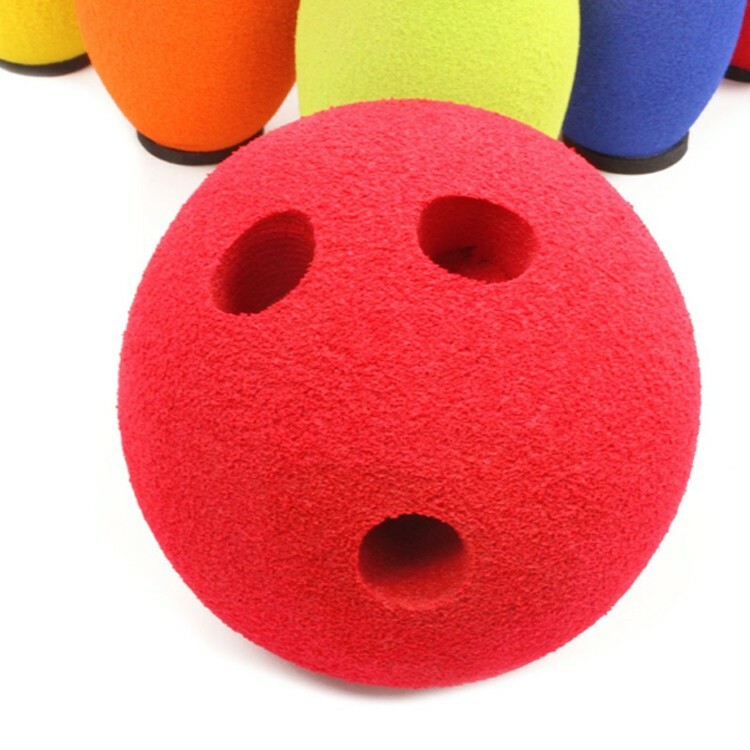 Have had some problems with the rubber bottom on the bottom of the pins staying level. 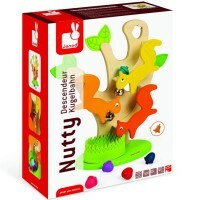 Otherwise, great product! 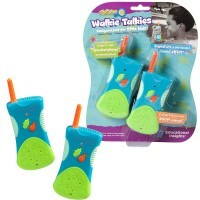 Rating: 4 by Suzanne, MO This was a good product to use in a preschool classroom. 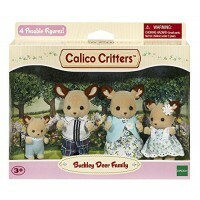 The set is soft and controllable. 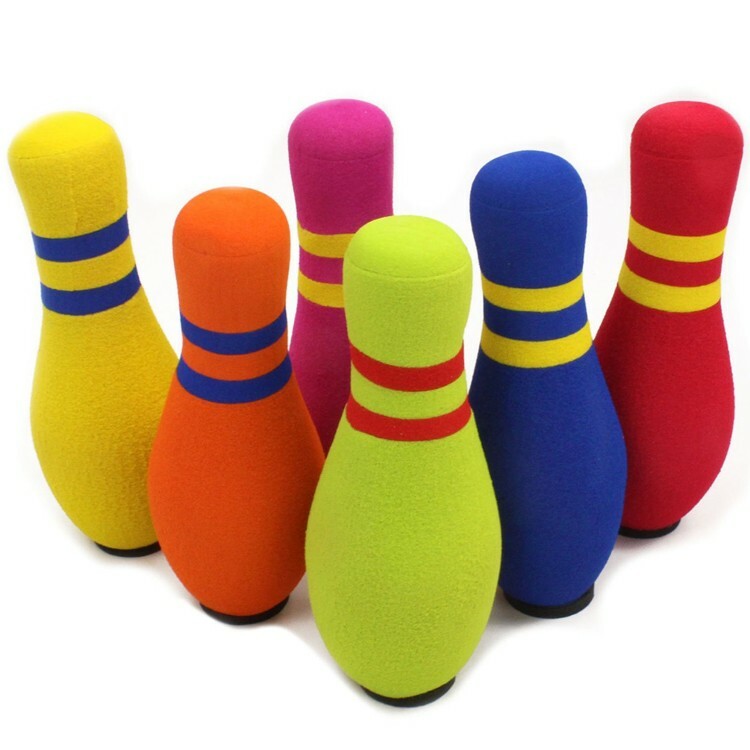 Rating: 5 by Anita, OH The pins were very colorful and weighted.